Information System (IS) Success Model by DeLone and McLean comprises of six dimensions: information quality, system quality, service quality, use, user satisfaction and perceived net benefits. Although, there are significant studies on IS success models, there are very few in debt studies on information systems in developing countries around the world, and this statement remains true even for increasingly commercial information systems like G Suite. The University of Belize, over the last couple years, has been trying to amplify the use of G Suite among students and teachers. 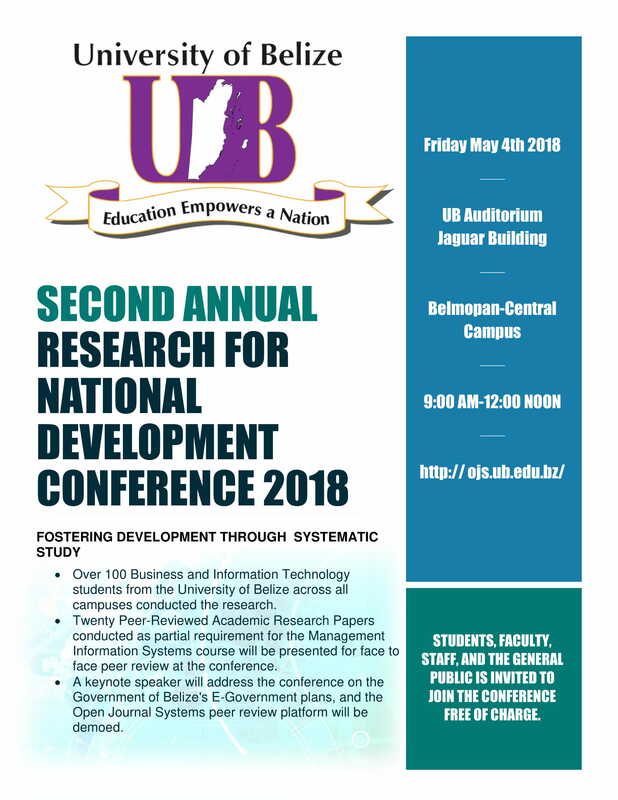 The research conducted at the University of Belize concentrated on DeLone and McLean’s six dimensions with a goal to discover a correlation between the G Suite information system and successful communication among students at the University of Belize. This paper portrays whether G Suite is sufficiently used at University of Belize, its qualities, and shortcomings. A total of forty (40) surveys were collected from students at the University of Belize to determine the net benefits G Suite provides. SKEEN, Jasmine Monique. Assessing the success of G Suite (Cloud Computing) among the students at the University of Belize. Proceedings of the RNDC, [S.l. ], v. 2, n. 1, may 2018. Available at: <http://ojs.ub.edu.bz/index.php/PRNDC/article/view/135>. Date accessed: 19 apr. 2019.